Hi, there today I am going to discuss WHMCS alternatives. First, we need to know what WHMCS is? If you want to start an online business like web hosting, VPS resell or selling any online product. It will require you to have a single platform for online billing, customer management, customer sign-up or package details. WHMCS is the single platform solution for all. While WHMCS costs you between $18.95 to $39.95 per month, there are some free alternatives available. Below I have provided all the details of these. WHMCS stands for "Web Host Manager Complete Solution". Automate Billing :: Automate billing includes invoice sending, payment collection, tax management, reminders to clients. Webhost & Domains:: Integrated with all the leading web hosting control panels and domain registrars for automatic provisioning and management. Client Support:: Provides client portal for ticket creation, knowledgebase for clients. Security:: WHMCS is secure for online payment and client data. Templates:: Hundreds of templates available according to your needs. Language:: Available over 10 languages. Price:: $18.95 to $39.95 per month. Blesta is a main competitor for WHMCS. Blesta is developer friendly, easy to use and user-friendly billing management option. It is mainly focused on hosting providers. Client Management:: One click access to all clients data and management and related tasks. 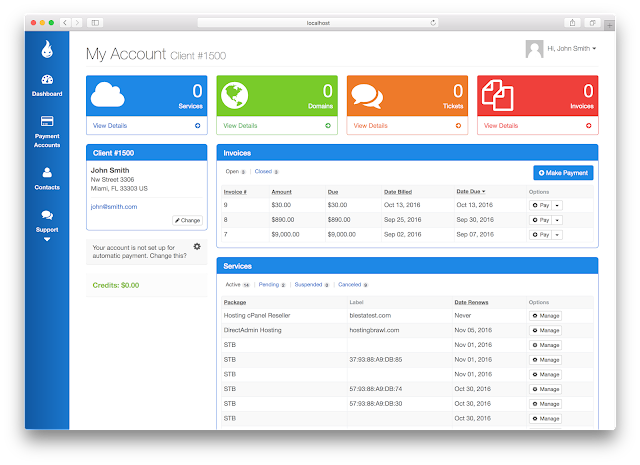 Automate Billing:: Invoicing, provisioning, suspension, payment processing, reminders & more are all automated. Client Support:: Portal for each of your clients and the ticket option for each portal. You can access all clients ticket through your dashboard. Security:: Security is one of the best things about Blesta. Development:: Opensource and well written for developers. Mobile Option:: Blesta is mobile friendly. Price:: $250 to $500 One time payment. 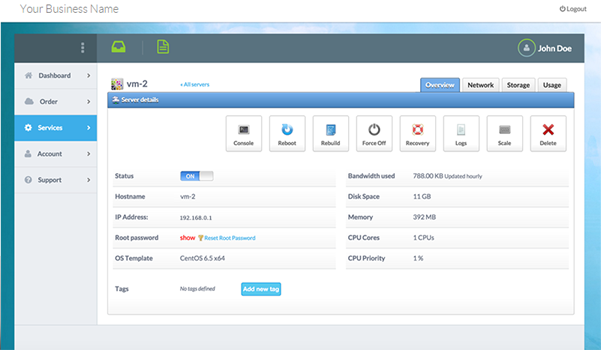 This is another alternative to WHMCS and owned by ISP systems. BILLmanager is a great platform for Newcomers in online business. Sales Automation:: It allows you to create a product and that's all, rest of the part starting from client signup, invoice, payment everything in managed by BILLmanager. Payment Options:: It supports more than 30 payment systems, like PayPal, 2CheckOut, Skrill, Alipay and many more. Client area:: Easy for understanding. Client Support:: Ticketing system is available, where clients create ticket form their panel and directly assigned to your support team. Price:: $13.62 to $54.46 Monthly. FREE Version:: Free version allows you to have up to 50 clients. Which enough to start with. Right!!! I strongly recommend this product. I love this and used it. One step solution for you VPS selling, Domain Selling VPN service and lot more. Best Feature about HostBill is its design and easy to use interface. Automate Billing:: Collect payments from clients is easy and automated. Invoicing:: Automate invoice generate and notification to clients with payment options. Client area:: The Best part of HostBill. Simple and nice looking design with easy to understand. Client Support:: Online ticketing system available for clients and easy for you to manage tickets. Payment Options:: more than 85 payment gateways. BoxBilling is great for new start-ups, easy to install and easy to use. Installation:: Easy to install even if you have limited technical knowledge. Automation:: Supports automated billing, invoicing, product provisioning. Client Area:: Automatically create hosting accounts as soon as the payment is received. Billing:: Enable multiple currencies, except one time and recurring payments. Management:: Suspend when an account becomes overdue, terminate when a specified amount of time passes. Client Support:: Ticket system is available in the client area and easy to manage for admins. Price:: $0 to $5 Monthly. 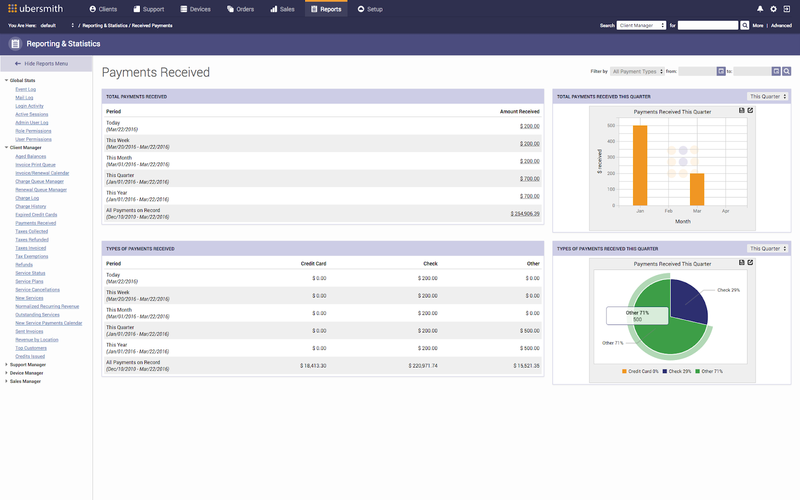 Ubersmith is basically an enterprise level billing manager. Billing:: The Best feature is it supports usage base binning. Order Management:: Order management system offers customizable workflow tools for managing customer orders from signed quote to account setup, provisioning, billing and more. Ticketing:: Email-based ticketing system offers automated ticket escalations and actions, association with clients, services and devices, time and ticket tracking and more. Client Area:: Easy to use and manageable through the admin dashboard. Security:: One of the best. FREE Version:: 30 Days Free Trial Available. One of the best in the market and with lots of options when it comes to 3party integrations. Client Management:: Manage clients, products, and service easily. 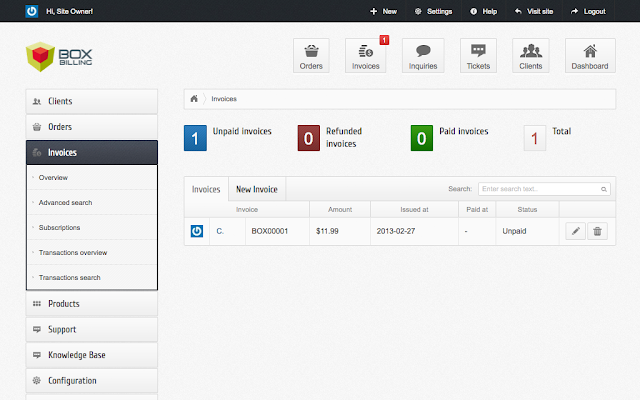 Create and Send Invoices for customers. 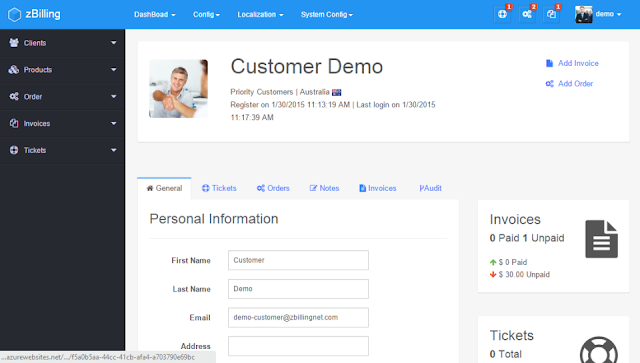 Ticketing:: Support Ticket and knowledge base System in one Product. API:: Create fantastic plugins inside ZBilling and connect your applications throw ZBilling WebAPI using REST. 3rd Party Integrations:: Integrate options like 2checkout,PayPal,website panel,cpanel,enom etc. Client Area:: Simple and easy to use. Price:: $9.90 to $19.90 Monthly. I have only mentioned about products which I have tried and learned about. So, I did not mention products on basis of Online research or from blogs. Pictures may have been taken from google or official sites but no copy paste work has been done here.